The ability to offer a draw or resign during an ongoing game. Since the UCI protocol does not provide this feature, the GUI will accept the draw simply based on past evaluations of the position.The ability to change the users name and ELO rating, which will appear in the header for all user games that are saved in PGN format to the SD card.The ability to connect to FICS, the free internet service. This is of course the most work and currently still in prototype stage. The first release will probably start simple by just allowing to watch demo games. Before moving to the next book, first a posting on an example given in the Tensorflow book by Ramsundar and Zadeh. 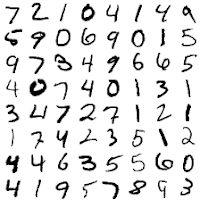 The chapter on convolutional neural networks discusses training a tensorflow architecture to recognize handwritten digits taken from the MNIST dataset. The given Python code automatically downloads the dataset from the Web and partitions the labeled data into a train, validation, and test set (as explained in the book, used to train the network, validate the performance of the model, and test the final model, respectively). The ultimate objective of the algorithm is, given the tensor with handwritten digits shown below to the left, finding the tensor with labels shown below to the right. Some first impressions after finishing the book "TensorFlow for Deep Learning - From Linear Regression to Reinforcement Learning" (by Ramsundar and Zadeh). 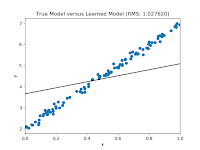 The book introduces the concept of tensors, primitives and architectures for deep learning, and the basics of regression, various neural networks, hyperparameter optimization, and reinforcement learning. The art work in the figures is beautiful (something that convinced me to buy the book). 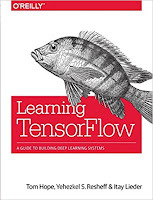 The tensorflow code examples can be downloaded from the book's website, making it easy to follow along with the discussion the book. The book falls a bit short on detailed explanation, however. I found that many times when the discussion in the book was about to get interesting, it referred to other work for details instead. Several architectures were merely "explained" with a figure, no accompanying details in the text. Lots of New Features for Chess for Android. 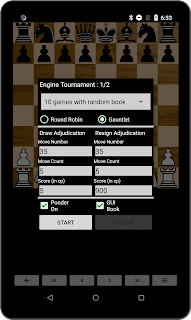 Recently I have been very active adding new features to Chess for Android again. 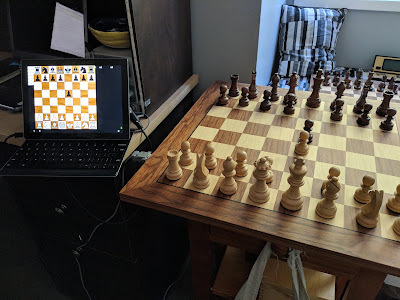 I have added support to connect to the Millennium ChessGenuis Exclusive electronic chessboard, added a new piece set (thanks Bryan Whitby), added various engine related features requested by users, and switched to the much better model where users can enable (and thus disable) permissions just for the features they like. Now, I also added optional piece animation and algebraic notation on the board. Hopefully this makes watching ongoing tournaments more smooth, as illustrated below for a match between Komodo and DiscoCheck. Keep an eye on Google Play for updates! 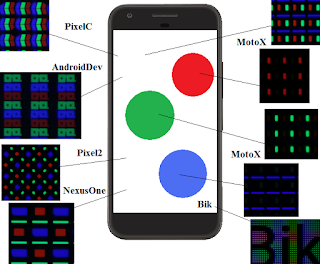 Did you ever wonder what an Android phone screen looks like under a microscope? So did I. So at the start of this weekend, I got the microscope out and took some photos, collected in one picture below. The results are amazing. What looks white to the naked eye, is really a large field of RGB (red-green-blue) elements under magnification. All colors are, of course, obtained by adjusting the brightness of each RGB element appropriately, as illustrated in this picture too.